Xu Yong 徐勇 (born in Shanghai in 1954) is a self-taught artist: first trained in polytechnics in Luoyang, he then worked in an advertisement agency, and finally embarked on a new photography career. Xu has been playing a key role in the contemporary art scene from the last twenty years: he is for instance one of the instigator of the creation of 798 Art Zone in northeast Beijing, which is now one of the largest art zone in the capital. 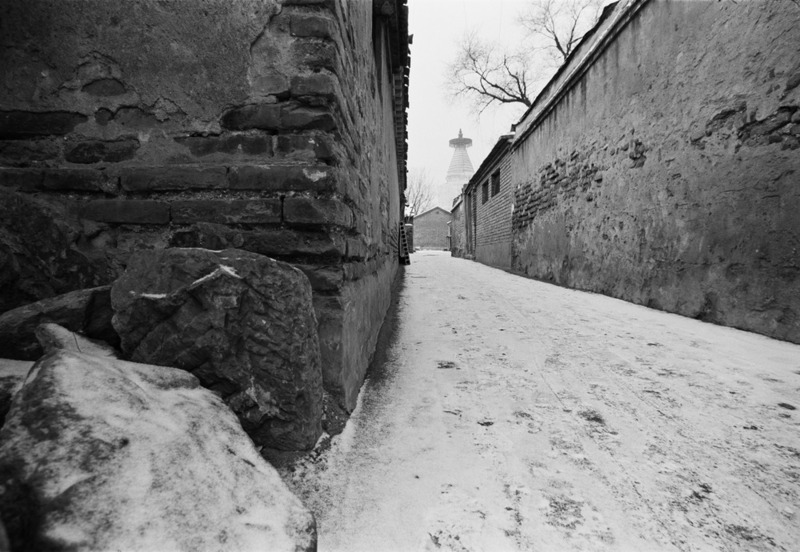 His series Portraits of Hutong (1989) depicts a paradox that many photographers have explored after him: these empty and cold lanes seem at odds with the actual bustle of everyday life. Behaving like a flâneur imbued with nostalgia, Xu photographs with tenderness the walls decay, the roofs tops covered with snow, the tiny interior courtyards overgrown by plants, and the refined tiles design among other peculiar architectural features. Yet all his pictures seem to be veiled with solitude and anxiety. Xu’s personal relationship with these lanes (called “hutong” in Chinese) dates back to 1964 when he settled down in Beijing with his parents. The artist – who was ten years old at that time – is immediately dazzled by their magical aura. Twenty years have now passed, but these lanes still look familiar especially to those who had the chance to wander through them. These tiny streets sometimes as narrow as a corridor were and are still part of Beijing’s identity. However the perpetual desire for modernization and Chinese ambitions have little by little demolished them, turning these traditional lanes somewhat insalubrious into streets surrounded by brand new high-rises. 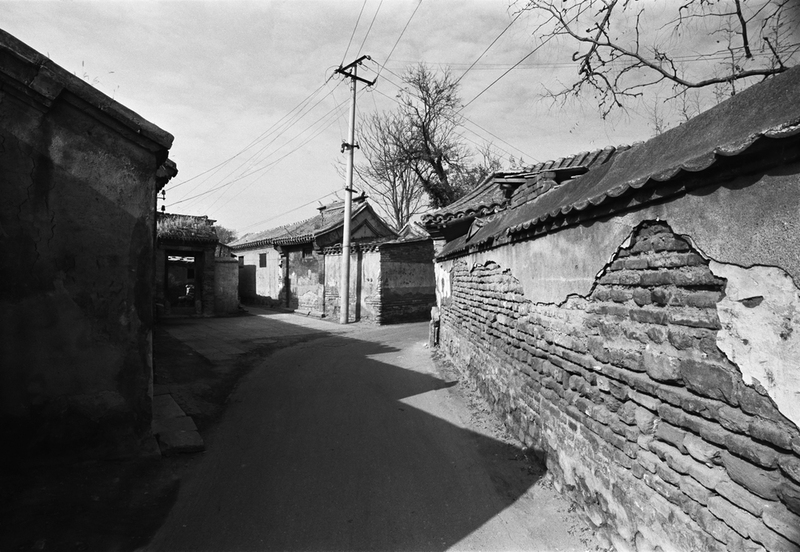 Xu’s commitment to safeguard the hutong goes even further inasmuch as he has created in the 1990s “Hutong Go-Around”: a cultural tourism company that offers visitors to discover the old Beijing, its old mansions, its unknown places and charming old lanes located at the heart of the city. Similarly to other artists living in the capital, Xu has no choice but to be subjected to the unceasingly urban transformations that over time have remoulded familiar places to give them a more modern yet unrecognizable appearance. 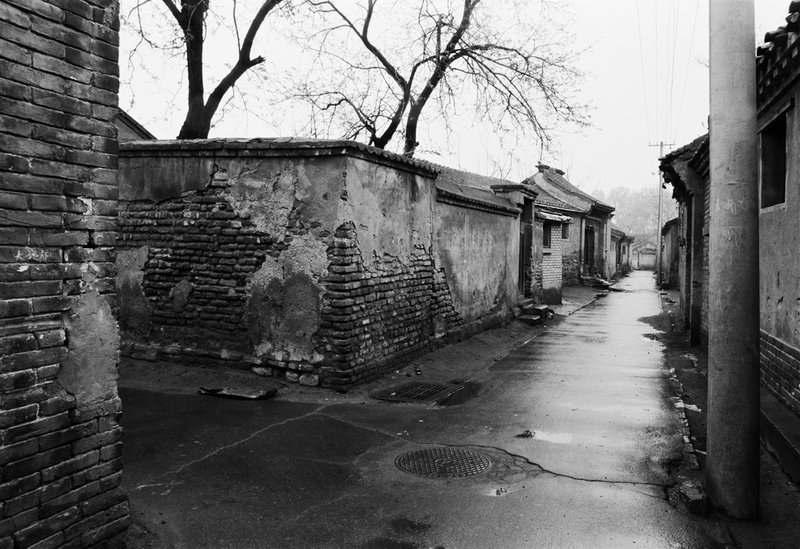 His series Portraits of Hutong constitutes then a vision of an ethereal and atemporal Beijing, shot in black and white, while suggesting a better awareness and appreciation of Chinese architectural heritage.